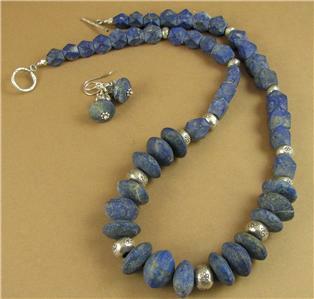 Home › Necklaces › Lapis lazuli necklace & earrings set. Chunky.Unpolished. Fine & sterling silver. 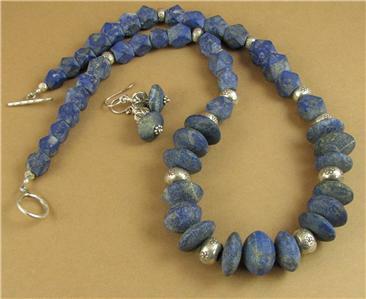 Lapis lazuli necklace & earrings set. Chunky.Unpolished. Fine & sterling silver. 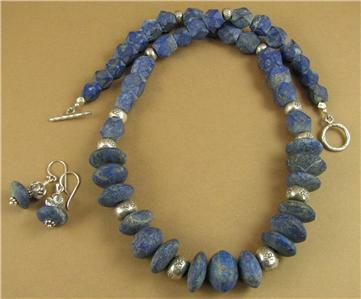 This is a gorgeous chunky lapis lazuli and fine silver necklace and earrings set. 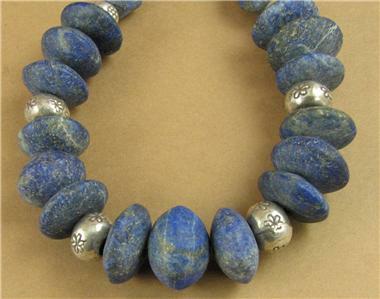 The lapis is from Afghanistan - which is where the best lapis comes from. It is completely untreated and unpolished. 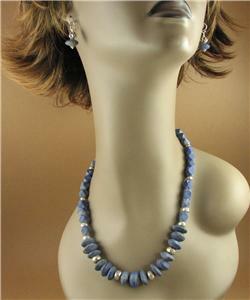 All the beads and the clasp are extremely pure fine silver. The ear hooks are sterling silver. 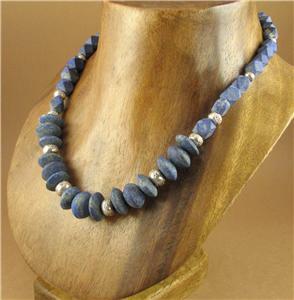 The necklace is just over 21" long (54 cm). 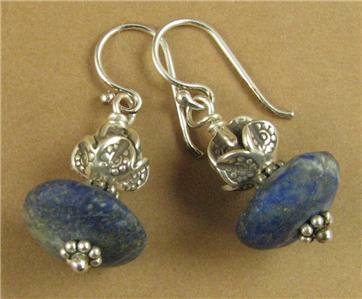 The earrings are 3cm long from the top of the hooks. I am the designer of this necklace and I have put it together with my own hands. I have been making my living exclusively from designing and making jewellery for 9 years. I travel every year to seek out old and tribal silver from Asia and India along with semi-precious stones. Back at home in Brighton, England, I make these loose pieces up into beautiful and unusal jewellery.